Two of the projects constituting the central focus of the National Gallery of Zimbabwe this year are the 57th Venice Biennale, starting in May, and International Congress of African Cultures in September. The 2017 Venice Biennale, opens on May 13, 2017 with more than 50 countries represented and some 120 artists taking part in the international exhibition. The exhibition will also include 85 national participants featured in the historic pavilions at the Giardini, at the Arsenale, and in the historic city center of Venice. Antigua and Barbuda, Kiribati, Nigeria, and Kazakhstan Four countries will be participating for the first time. Zimbabwe will be participating at the 57th edition of the Venice Biennale for the fourth time. The participation exposes local creatives to greater opportunities at the biggest stage in the world. Participation at the Venice Biennale has opened doors of opportunities to local artists and given them a new lease of life on the global stage. Many have justified their inclusion as part of the Zimbabwean contingent and have gone on to create impressive work, gaining them international recognition. 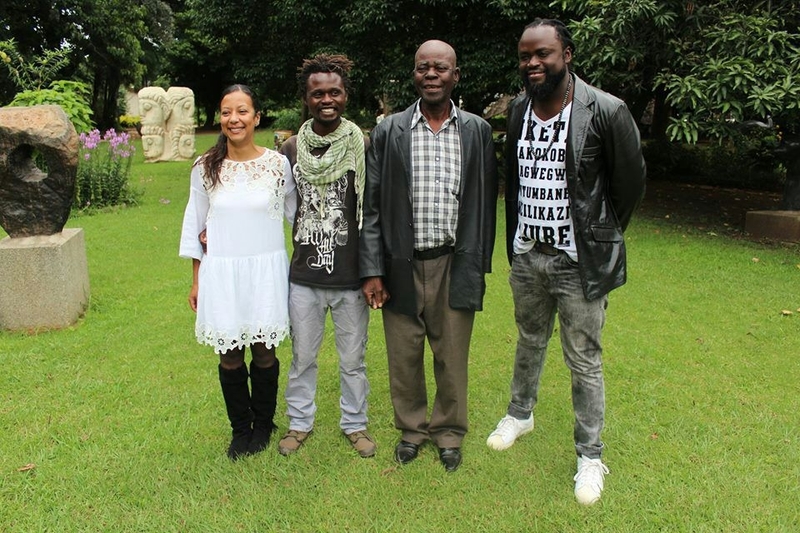 Artists Dana Whabira, Charles Bhebe, Admire Kamudzengerere and Sylvester Mubayi are part of the contingent of representatives at the country’s Pavilion at the 57th International Art Exhibition – the Venice Biennale. The four will create new artworks and multimedia installations expected to transform the Santa Maria della Pieta into an authentic Zimbabwean environment and an occasion in the National Gallery’s endeavour to promote Zimbabwean art and culture internationally. The four artists will conceive new works, incorporating sculpture, prints, drawings, objects, paintings and sound for the six galleries of the Zimbabwe Pavilion. The theme for the Zimbabwean Pavilion is: Deconstructing Boundaries: Exploring Ideas of Belonging. It is a continuation of the interrogatory nature that has characterized previous Zimbabwe pavilions at the Venice Biennale. In the view of the National Gallery of Zimbabwe, the Zimbabwe Pavilion will seek to provide another perspective on themes of humanity, allegory, identities, migration, patriotism and belonging. “The ideas of here and there, seeing and being seen, legal and illegal have remained subjects for debate and this exhibition seeks to provide some answers to these issues. The three previous editions of the Zimbabwe Pavilion have been mounted around themes – Seeing Ourselves, in 2011, Dudziro in 2013, and Pixels of Ubuntu/Unhu in 2015. The seven-month long showcase is considered the ultimate showcase of contemporary art. Any artist exhibiting at this platform is exposed to art appreciators and collectors from all over the world. The Government of Zimbabwe has, in the last three Biennales, funded The Zimbabwean Pavilion, which has been the only one from Africa that has been consistently supported by its Government. The Zimbabwean Pavilion at the Venice Biennale is considered a diplomatic platform to project the country’s culture and heritage to the global arena. Artists previously supported have gone on to become popular names on the international contemporary visual art scene. Among these are Misheck Masamvu, Portia Zvavahera, Masimba Hwati, Virginia Chihota and Gareth Nyandoro. Sylvester Mubayi is an elderly contributor to Zimbabwean visual art. He belongs to the first generation of Zimbabwean stone sculptors. He is a master and imaginative sculptor. The substance of his work is expected to bring significance to the Zimbabwean narrative at the Venice Biennale where, since 2011, stone sculpture has not featured. Admire Kamudzengerere, is a young outstanding expressive painter. His selection and use of colour compliments the subject matter that he seeks to put across to the viewer. Charles Bhebe, is also a young prolific Bulawayo-based visual artist who profiles the ordinary Zimbabwean person in his observations through the use of intricate colours in his paintings. Dana Whabira is an architect, artist and cultural facilitator and curator of the visual arts and related interfaces. She runs Njelele Art Station, which affords artists space to interact, experiment and showcase their creativity. She brings to this year’s Zimbabwe Pavilion at the Venice Biennale some refreshing angles to the story of Zimbabwe. The National Gallery of Zimbabwe argues that the selection is its way of ensuring that “we continue to make a mark in visual art on the global arena”. Apart from the National Art Gallery of Zimbabwe (NGZ) celebrating its 60th anniversary, the gallery will this year host the International Congress of African Cultures in September. The event that was last hosted in 1962 in then Rhodesia, will be held under the theme “Brilliant Shining Forever” and will mark a reflection of local heritage as works that display the pan-African history and the contemporary will be showcased at separate exhibitions. – By Sonny Wadaw © Panorama Magazine 2017.